TEAGUE cordially invites anyone and everyone looking to push the boundaries of design to three spectacular events that we’ll be hosting in our downtown Seattle studio. Each event is completely free to attend, and drinks + food will be provided! However, you must be 21 or older, and due to limited space, RSVPs are required. If you have any questions about any of the events, feel free to contact us through our event pages. What better way to bounce back from the Seattle Design Festival Kickoff Party than with delicious brunch food, great design conversations, and perhaps a little hair of the dog? 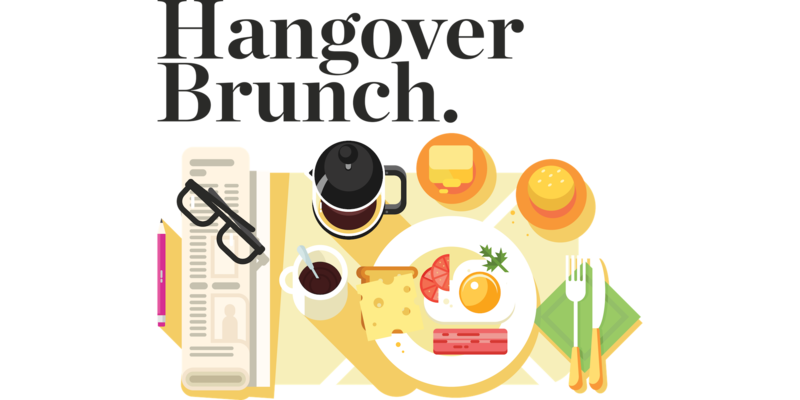 Join TEAGUE in our studio for our first annual Hangover Brunch. In addition to short, inspirational talks from our team centered around trust interactions in design, you’ll participate in a fun, hands-on mini workshop, employing some of the principals and processes TEAGUE designers use everyday to create great products, services, and experiences with our partners. Growing up, we were continuously warned by our parents to beware of strangers, both on the internet, and luring us into their cars. Today, we routinely use the internet to call strangers to come pick us up in their cars. What changed? The trust we place in companies like Uber and Lyft, the technologies behind them, and the drivers they employ, has become commonplace. But what about evolving to have that same level of faith in something we can’t see? As an autonomous future quickly approaches with millions still skeptical, how can we ensure a similar trend of growing trust in driverless vehicles and ride sharing? 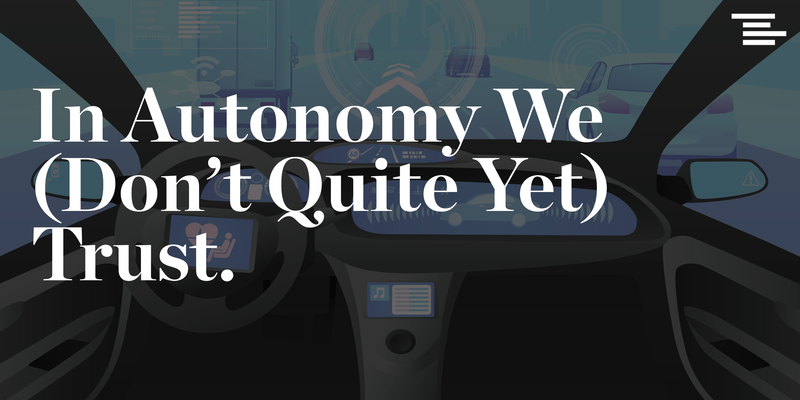 Join TEAGUE's Creative Director, Matt McElvogue, and Tech Director, Warren Schramm, for an in-depth exploration of the slippery nature of establishing trust in autonomous vehicles. We'll discuss what we call “trust interactions”, as they relate to vehicle HMI, key findings from our initial user testing during our project with Intel, and the opportunities in front of us—what areas are ripe for designer exploration and new hypotheses to bring us closer to a trustworthy autonomous future. There’s no doubt that consumer data has dominated headlines this year. From Facebook to Equifax, the proper storage and use of our data is becoming increasingly important, and is something every industry is wrestling with to ensure the safety and privacy of their customers. At the forefront of this conversation are rideshare companies with whom we trust massive amounts of information, including our exact locations, home and work addresses, and whether or not we realize it, our travel patterns and schedules. 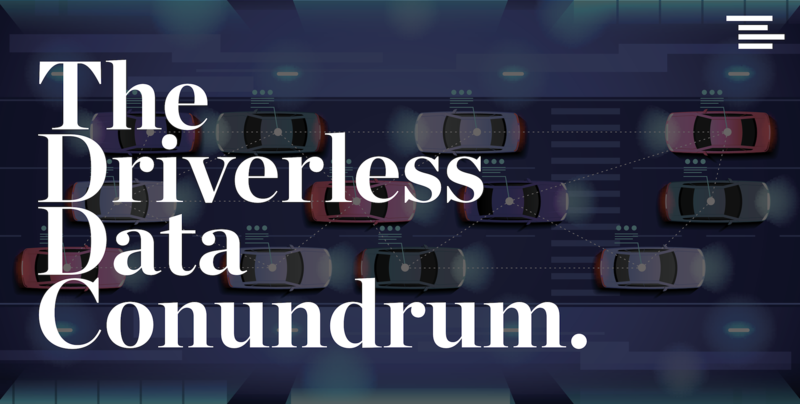 As transportation services expand and begin to utilize autonomous cars, trucks, and even drones, the data (and questions) grow: How much information should driverless vehicles capture? How long should they keep it? Where should it be stored? What should they be allowed to do with it? Designing and building an infrastructure that will not only solve these problems, but that’s secure enough to earn and keep consumer trust, will require all hands on deck. Done correctly, we have the opportunity to architect smarter cities and improve urban mobility. But how do we get there? Join our panel of experts from Microsoft, Mighty AI, Glympse, and TEAGUE as we dive into today’s data conundrum, and paint a picture of what tomorrow’s solution might be.